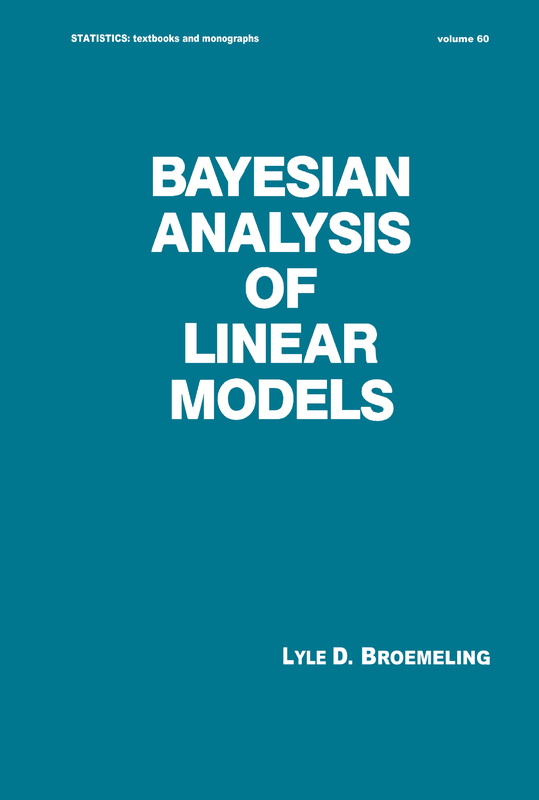 With Bayesian statistics rapidly becoming accepted as a way to solve applied statisticalproblems, the need for a comprehensive, up-to-date source on the latest advances in thisfield has arisen.Presenting the basic theory of a large variety of linear models from a Bayesian viewpoint,Bayesian Analysis of Linear Models fills this need. Plus, this definitive volume containssomething traditional-a review of Bayesian techniques and methods of estimation, hypothesis,testing, and forecasting as applied to the standard populations … somethinginnovative-a new approach to mixed models and models not generally studied by statisticianssuch as linear dynamic systems and changing parameter models … and somethingpractical-clear graphs, eary-to-understand examples, end-of-chapter problems, numerousreferences, and a distribution appendix.Comprehensible, unique, and in-depth, Bayesian Analysis of Linear Models is the definitivemonograph for statisticians, econometricians, and engineers. In addition, this text isideal for students in graduate-level courses such as linear models, econometrics, andBayesian inference.